I love bright happy flowers! I love them from my garden or when I find a bunch of buds for cheap, bring them home, cut the tips and they bloom overnight! 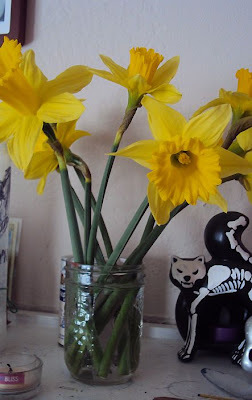 These beautiful daffodils came from Trader Joe's for around $1.50! Score! That is a score for store flowers! I love having them around, too, especially lilacs.